Every year I see brave bloggers undertaking the Double Dare Challenge - to only read from their own shelves for the first three months of the year. While I know I should do it my library visits are so much a part of my life I also know I simply could not stay away for that length of time. However, when I saw a post from Lory @ The Emerald City Reader inviting anyone to join her during January reading only our own books that seemed achievable as it's holiday time here and the month always goes very quickly. 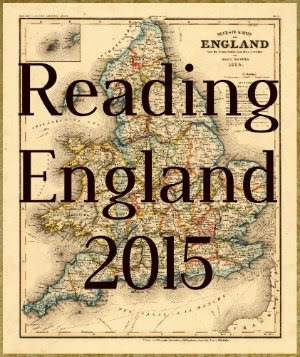 I do have to make one exception as the book I plan for Reading England I don't want to buy and it will be a library book. Until then I have a few library books to finish! 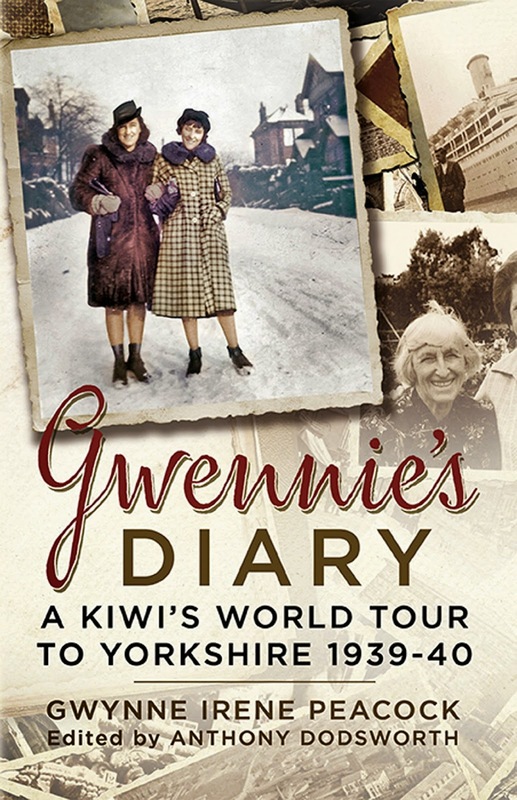 Gwennie's Diary by Gywnne Peacock is the record of a young New Zealander who sets off to see the world and meet her Yorkshire family in 1939. 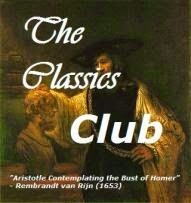 The only library book I had left at home and commonsense told me not to bring back any more. But when it comes to books saying no is so very hard and now there are three more which I may, or may not, get read before the end of the month. Lila by Marilynne Robinson - an unforgettable story about a girl living on the fringes of society. The Bookman's Tale by Charlie Lovett - a novel of timeless love and dangerous obsession. Antiquarian bookseller becomes obsessed with finding the origins of a Victorian miniature that reminds him of his dead wife. Elizabeth is Missing by Emma Healey - How do you solve a mystery when you can't remember the clues? Library Loot is a weekly event co-hosted by Claire @ The Captive Reader and Linda @ Silly Little Mischief that encourages bloggers to share the books they have checked out from the library. I might have to sign up for that challenge. I work in a library (and in interlibrary loan so I have access to tons of stuff) and I know I couldn't stay away for a full three months. Maybe I could do a month? BTW -- The Bookman's Tale is on my TBR, let me know how you like it. I've looked at The Bookman's Tale several times before but this time I decided to give it a try. I like that idea. I was going to do that in December but that didn't work. All those books look terrific. Enjoy! Thanks Linda - maybe you try again in January. It's so hard to stay away from those wonderful library books! A month is about all I can manage (maybe). Glad you are joining us! I'm hoping I'll make it - I certainly have plenty to choose from here at home and it will be great to actually get a few read. I'm not a big "modern" book fan, but I really want to read Lila. I've been trying to get Robinson's Gilead from the library for ages and there are still so many people ahead of me. She's a popular author! Best wishes for your challenge! It wasn't until I brought it home that I realised Lila is about a character that appears in Gilead and Home so I hope it's not going to matter too much that I haven't read them. I was quite surprised to find it on the library shelf as she is a popular author. I've done the TBR Dare for several years, but this year we'll be in Florida for much of that time and the island library is amazing. I know I won't be able to stay away... one month seems much more reasonable. Good luck! I can understand that! I wouldn't be able to stay away either. Perhaps you can try for the month. Skipping my weekly library visits is the hardest part of the TBR Dare, I think - though I finesse it a bit by having some books on hold before it starts. I do like the sound of this challenge - good luck! I'm going to look for Gwennie's Diary, it looks very intriguing. I know I wouldn't last three months! I hope Gwennie's diary will be good - it looks interesting. One month definitely sounds more achievable to me! Good luck with that and, until then, enjoy these great-looking library books. Thanks, Claire - some easy pre-Christmas reading is the plan. I LOVE the idea of not getting any books from the library for a month and only read books I already own. I really need to to do this. I have a pile of books I own but have yet to read from past Christmas, birthdays, and such. I wouldn't be able to do it for three months, but I'm pretty sure one month is doable. I think it will be - hope you will join us.